A parking lot without lines would be chaos. 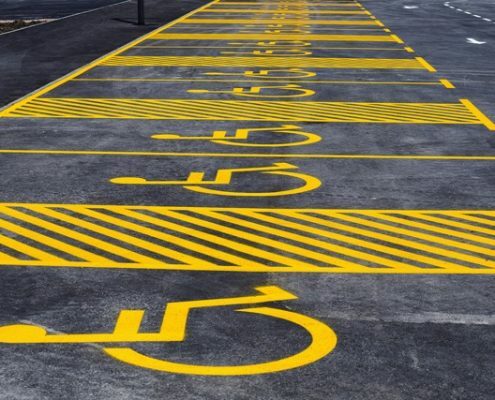 In order to ensure that you are able to maximise the number of cars that a parking lot can safely hold, you need to have lines painted on the surface of your parking lot. These can be to indicate where each parking space is, the direction the cars should move, and any symbols that are needed. The Action Home Services team is very experienced at making sure that the lines that we paint conform to any local legislation or guidelines surrounding parking lot line painting. We use the right materials and application methods to ensure that the lines last for many years to come. This attention to detail can make all of the difference over time. The painting of your parking lot will remain looking as good as new for as long as possible when you choose a team of professionals to get the job done right. Action Home Services can stencil and equip your parking lot with the required traffic markings utilizing premium grade, highly pigmented 100% acrylic or latex traffic marking paint designed for high quality, long lasting pavement markings. 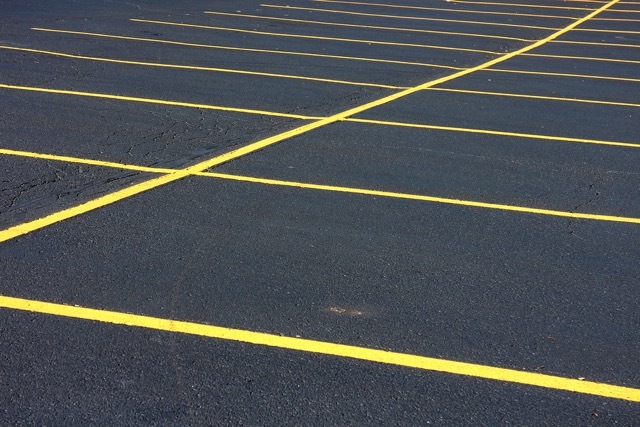 If you already have lines in your parking lot and they have become worn over time, or you want to change the design of the parking lot all together, we are able to strip the existing paint lines from your parking lot and then overlay the new design. Line painting on asphalt is just one aspect of what you will need in order to have a safe and easy to navigate parking lot. Traffic markings that inform drivers of where they can and should drive as well as warnings of where they cannot park or even wait temporarily. Working with architects and property owners it is possible to create a parking lot layout that follows best practices that allow for the best possible traffic management as well as adhering to all proper safety standards. Another important consideration is symbol painting. After many years of cars and other vehicles driving over the symbols that you have painted on your asphalt parking lot. It is hardly surprising that the paint has become faded and cracked. If you have noticed a rapid change in the quality and visibility of the stencils it is possible that they were not applied by asphalt care experts. 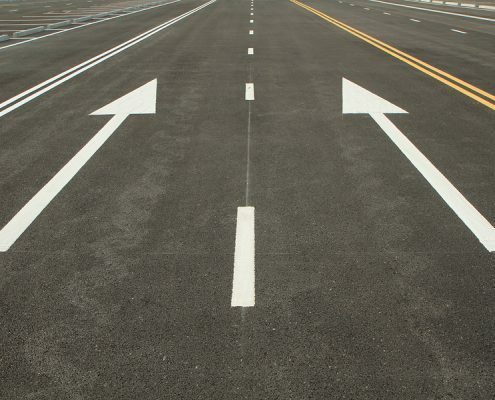 The team at Action Home Services is very experienced in painting lines, traffic markings and other symbols onto asphalt and can we are confident that the work we do will last a long time. For a parking lot to be safe, the symbols and lines need to be clear for everyone. This is a safety concern as well as an aesthetic one. If the painting in your asphalt parking lot simply needs a few touch-ups, we can do that as well. We will also be able to advise you on any other aspect of your asphalt surface that may need some attention. If there are any cracks in the asphalt we are able to repair and seal them efficiently and professionally. Action Home Services is an experienced and professional line painting contractor serving Toronto, Markham, Vaughan, Scarborough, Brampton, Mississauga, Burlington, Oshawa, Richmond Hill, Milton, Oakville, Aurora, Caledon, Pickering, Whitchurch – Stouffville, Ajax, Whitby, New Market.